Farmers have been urged to remain on standby for Bluetongue virus BTV-8 after a number of cases were detected in cattle imported from France. The UK remains bluetongue-free but farmers have been urged to remain on standby. The Animal Plant and Health Agency (APHA) recognised the disease through the post-import testing regime in about 32 cattle brought to Preston and Kendal, England and Dumfries, Scotland. UK chief veterinary officer Nigel Gibbens and chief veterinary officer for Scotland Sheila Voas are on high alert and urged those considering importing cattle from infected regions to have appropriate paperwork to ensure certain conditions are met to reduce disease risk, including correct vaccination. BVA senior vice president Gudrun Ravetz said the outbreak came as a reminder to farmers of the importance of responsible sourcing of animals and highlighted a need to fully understand the potential disease risks of importing animals from areas where disease is present. Mr Gibbens said: “This detection is a good example of robust disease surveillance procedures in action and should highlight to farmers the risks which come with bringing animals from disease-affected areas into their herds. The UK remains officially Bluetongue-free and exports are not affected. Action is being taken to ensure no spread of the disease, with movement restrictions at the affected premises, targeted surveillance and humane culling where necessary. 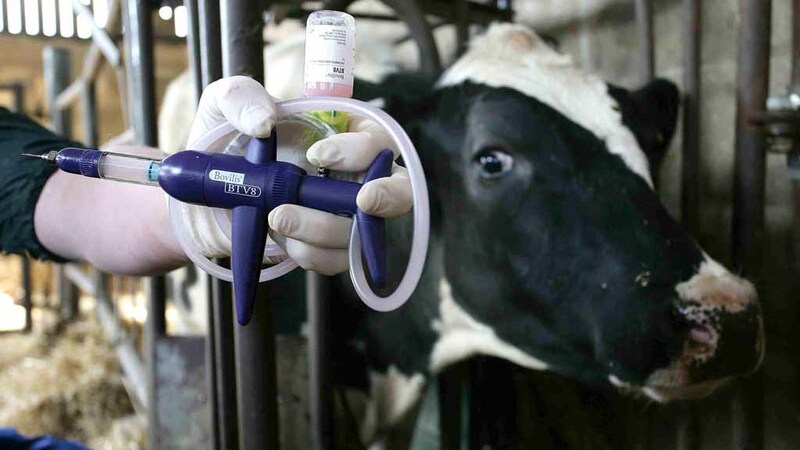 All of the animals which tested positive, cattle with a high risk of being infected with the BTV-8 strain and those which had not been vaccinated before being exported will be humanely culled. Bluetongue is a notifiable disease and any suspicions must be reported for the APHA on 0300 020 0301 for England, 0300 303 8268 for Wales, regional Field Services Offices in Scotland or 0300 200 7840 for Northern Ireland. Next Article What will Brexit mean for oat trade?